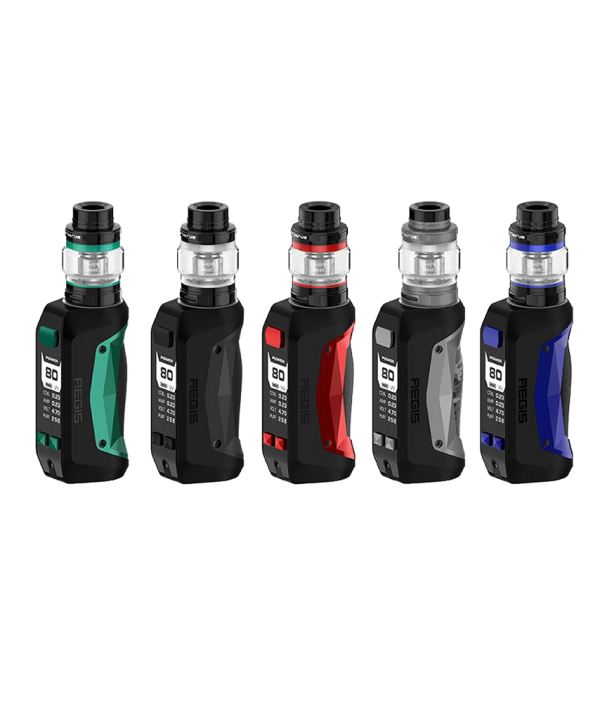 Geekvape Aegis Mini kit is a lightweight and extremely durable kit which has water, shock and dust protection. Constructed by alloy, leather and silicon, the Aegis Mini device is durable and ergonomic. 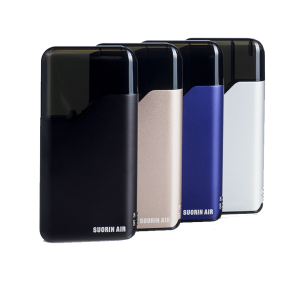 Powered by a built-in 2200mAh battery with the Advanced AS chipset, it can fire up from 5W to 80W maximum output and activate extremely fast, accurate. 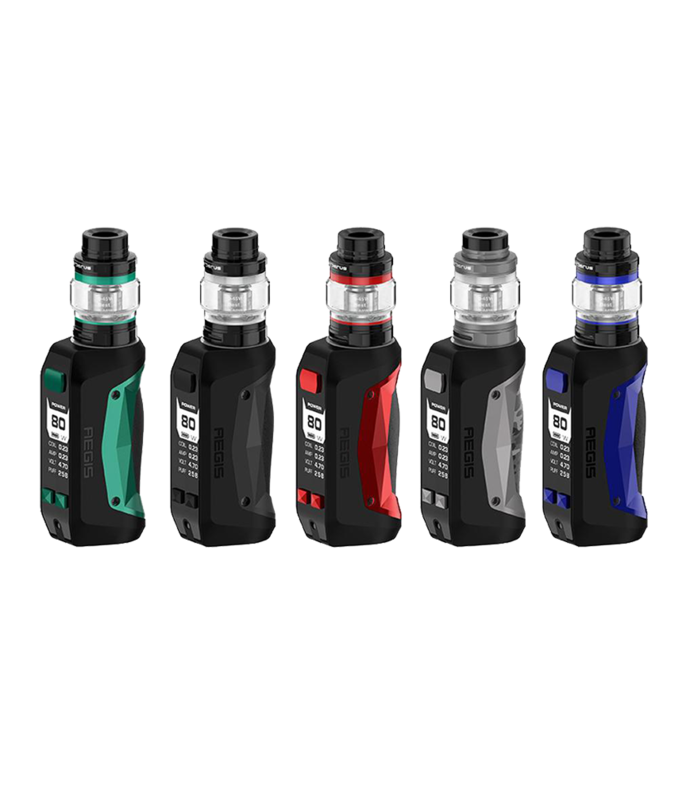 Geekvape Aegis Mini kit is a lightweight and extremely durable kit which has water, shock and dust protection. Constructed by alloy, leather and silicon, the Aegis Mini device is durable and ergonomic. 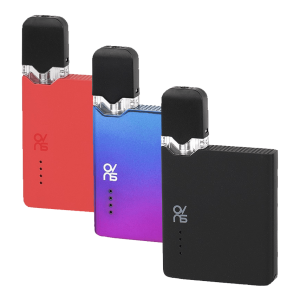 Powered by a built-in 2200mAh battery with the Advanced AS chipset, it can fire up from 5W to 80W maximum output and activate extremely fast, accurate. This kit supports temperature control for Stainless Steel, Nickel 200 and Titanium. 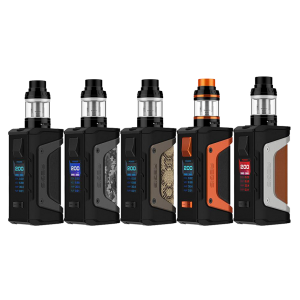 As for the included Cerberus sub ohm tank, this tank is optimized by the ultimate Super Mesh coil that maximizes heating contact surface area in order to provide maximum flavor and large vapor production. By the way, the Super Mesh coil is compatible with Aero Mesh tank. 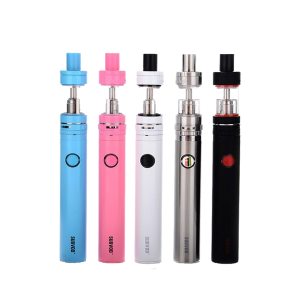 Moreover, the tank also features quick access refilling system, which will bring you an easy and convenient vape experience.